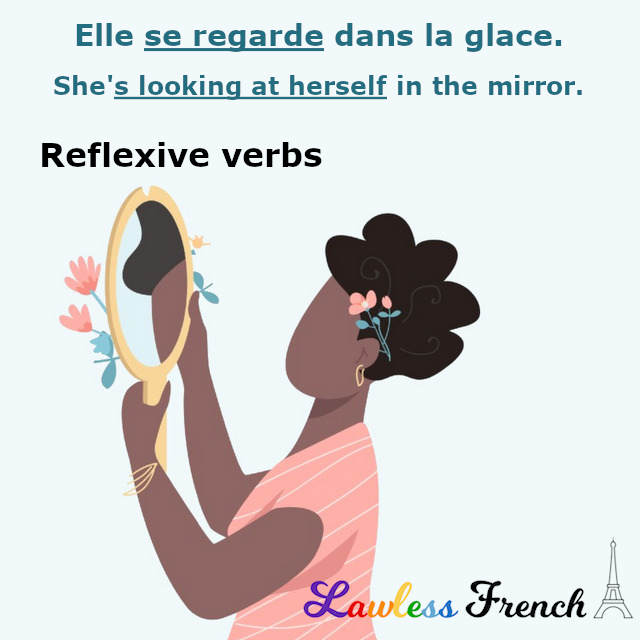 For reflexive verbs, the reflexive pronoun indicates that the subject of the verb is performing the action on him/her/itself, rather than on someone or something else. 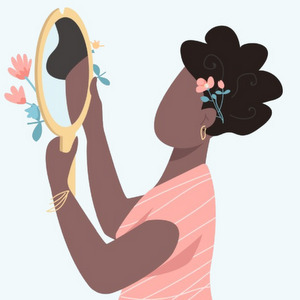 The majority of reflexive verbs have to do with one’s body, clothing, relationships, or one’s state of mind. Elle se regarde et se sourit. She’s looking at herself and smiling at herself. Je me couche à minuit. I go to bed at midnight. Tu t’habilles trop lentement. You’re dressing too slowly. Note that many of these verbs can also be reciprocal. Je me réveille à 6h00. vs Je la réveille à 6h00. Il se rase le menton. vs Il rase le menton de son fils. When talking about parts of the body, the reflexive pronoun and a definite article indicate the owner of that part of the body, rather than the possessive adjective that is used in English. Je me lave le visage. Je lave mon visage. Il se brosse les cheveux. Il brosse ses cheveux. Reflexive verbs are just one type of pronominal verb. See the main lesson on pronominal verbs for details on using reflexive verbs in different tenses and moods. In s’approcher de, how does one approach oneself?